I'm a single mom, live-in aide, avid reader, and caregiver of all. Trying to make my way into the blogosphere. 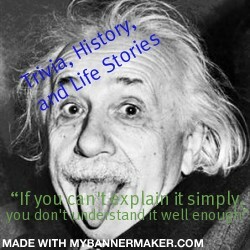 Join me as we dive into trivia, history, and life stories! Be sure to grab my button! 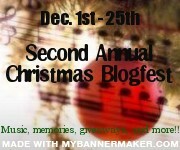 Visit my daughter, Hannah's, Christmas Blogfest December 1-25! Picture Window theme. Theme images by kickers. Powered by Blogger.